In January of 2017, Olympus® released Patch 0012 for their professional dictation and transcription software suite, ODMS R6.4. This patch, like earlier Olympus patches, contains all of the fixes and enhancements from previous patches—so there’s no need to install any patch earlier than this one. ODMS R6.4 Patch 0016 is the most up-to-date version of the ODMS software. Download Patch 0016 here. 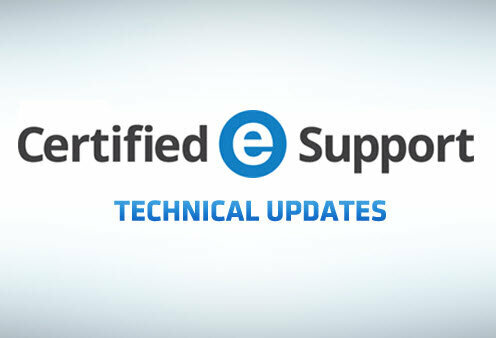 There’s one major enhancement that was added in this patch: support for Dragon® Professional/Legal Individual v15. This means that if you want to integrate Dragon v15 with ODMS R6.4, you can—once you’ve installed Patch 0012. Patch 0011, released in December of 2016, included a fix for an issue related to the SCP settings not getting to ODMS client applications. It was paired with an SCP patch (MT640Patch005). This complete fix is included in Patch 0012. 1) Close the ODMS R6.4 Dictation/Transcription Module. 2) Download ODMS R6.4 Patch 0012. 5) The patch will install. A window will pop up to indicate when it is complete. Click [OK]. Need Help Installing Patch 0012? If you weren’t able to successfully install Patch 0012, or would like some assistance pairing ODMS with Dragon Professional Individual v15, we’d love to help. Click the button to get started.